At St. Paul's teaching is viewed as an art, a passion, based on a deep respect for children, their families, and one’s fellow teachers. It comes from an abiding curiosity about the world, a joy for life, and a desire to share that with the youngest members of our society. Our understanding of the child’s perspective comes from our own experience as learners and explorers of the world and of relationships. Teachers are best able to engage a child’s curiosity when they have engaged in like experiences. Play is at the heart of work and the heart of learning. Through play children and adults are allowed to freely explore, construct, probe, analyze, synthesize and experiment without super-imposed questions or instructions. 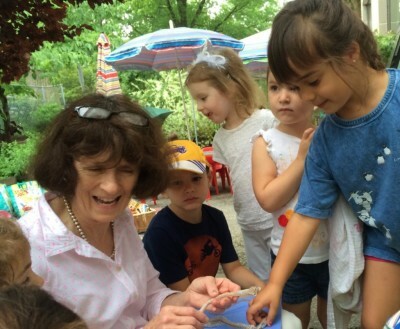 Kate has worked in the field of early childhood education for more than 45 years. She has had the great delight of being the director at St. Paul’s Nursery School and a teacher in the older children’s class for 32 of those years. She holds a doctorate in Clinical Psychology from George Washington University, has completed the coursework for a Master’s in Human Development from Pacific Oaks College-a sister school to Bank Street College in NYC. She also holds a B.A. and A.A. in Early Childhood Education. Before coming to Washington D.C. and St. Paul’s, Kate co-directed a preschool in California and taught in a demonstration lab school at a community college in the Bay Area. She also enjoyed many years teaching at The Children’s Center for the Stanford Community at Stanford University. While a student at the University of Colorado Kate was fortunate to have as a teacher Dr. David Hawkins, who was a friend and mentor to Loris Malaguzzi, the founder of the Reggio Emilia Philosophy. In the afternoons Kate works as a therapist practicing in both individual and group therapy. Kate enjoys her wonderful family, learning, adventure, the great outdoors, and travel. Cathy has taught at St. Paul's for over 25 years in the younger class. She brings a wealth of knowledge from her 8 years as a child therapist with Pastoral Counseling and prior to that her role as day care center director with Special Approaches in Juvenile Assistance. Her undergraduate education at Georgetown in International Affairs has also been helpful at St. Paul's, a school that serves children from different cultures from all over the world, speaking many different languages. She loves this community and the challenges and rewards each day brings. She has been a long time advocate for public education in the DC Public Schools. In the afternoons she works as the Director of the Senior High Alliance of Parents, Principals and Educators and is a founding member and prime facilitator of the Ward 4 Education Alliance. She is also a member of C4DC - Coaliation for DC Schools and Communities. She enjoys spending time with her extended family, reading, quilting and being outdoors. 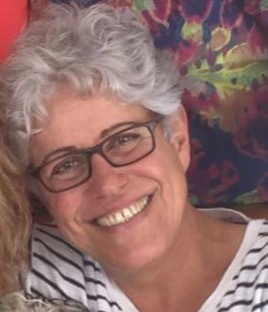 Adriana Franco is from Belo Horizonte, Minas Gerais, Brazil where she attended University and graduated with degrees in Education and Guidance Counseling. Her experience in Brazil dates from 1989 when she began to teach and counsel children ages 5 to 10 who had special needs. Her experiences with these children have transformed into a life long passion for working with young children. In 2000, Adriana began living in the U.S.A. where she is fortunate to be a Permanent Resident. She has been the Recreational Activities Supervisor and Spanish Program Assistant for an after school language program for pre-school and elementary school age children, since 2011. She has been a teacher for the older class at St. Paul’s Nursery School since 2013. Adriana loves working with children because they are full of love, curiosity, simplicity, naiveté, and energy; and she feels that they make her job “the best job in the world”. Adriana enjoys swimming, walking on the beach, reading and the company of her dog Ana. ​​​​​​ Hello, extremely happy to be part of the St Paul’s Nursery School family and a pleasure to be working with Cathy. My name is Angelica Cuevas, mother to an amazing, intelligent and curious four years old son named Zayden. Born and raised in the capital of the United States, Washington D.C. I have the privilege to have wonderful parents that raised me to learn their culture, music and most importantly their language. I am Bilingual; I fluently speak, read, and write in Spanish. I’m attending Ashford University where I am on target to complete my Bachelors of Arts in Early Childhood Development. I have honed my skills in childhood development through continuing education classes and ten lovely and well experienced years in this industry. For example, I've worked as a dedicated educator to Autistic children, taught preschool, and working with infants. I truly enjoy nurturing and caring for others it’s definitely my passion!